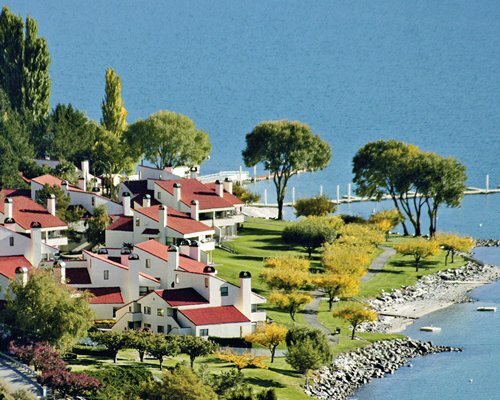 Set on more than 18 acres fronting beautiful Lake Chelan, Lake Chelan Shores is a private, gated resort community easily identified by its crisp white stucco buildings and red tile roofs. 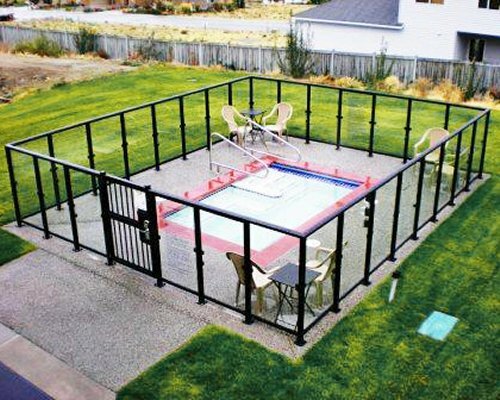 Guests of this charming enclave have access to endless recreational diversions, including lake and pool swimming, racquetball, tennis and boating. The youngest guests enjoy building sandcastles on the private beach, splashing in the kiddie pool and challenging each other to a game of outdoor ping-pong, volleyball, horseshoes or basketball. 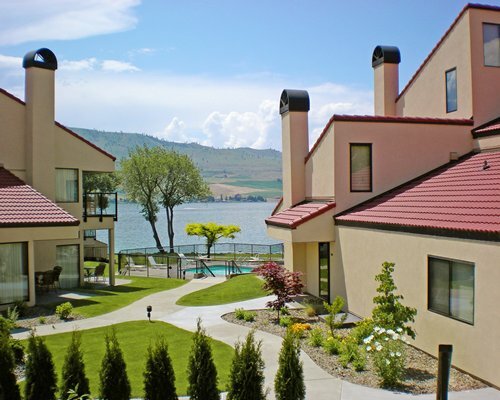 Dotting the shoreline in attractive stucco buildings with red tile roofs, Lake Chelan Shores features air-conditioned studios and one- and two-bedroom units, many with lofts. 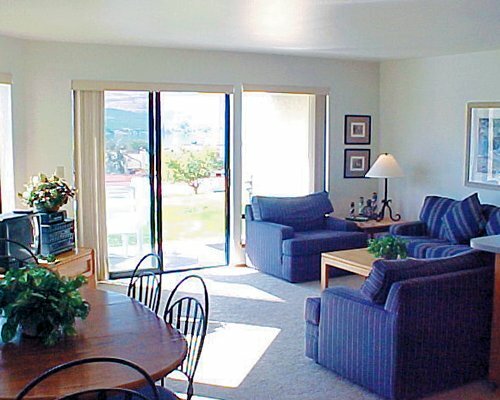 All units have full, well-equipped kitchens with dishwashers and microwave ovens and attractive dining areas, making family meal-time effortless and enjoyable. 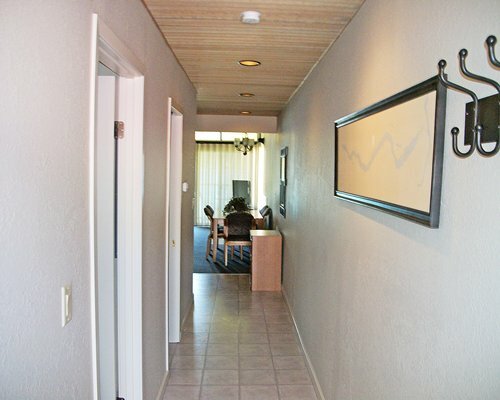 Many units have fireplaces, allowing guests to warm up on the occasional chilly evening, and sliding glass doors to patios with barbecue grills. 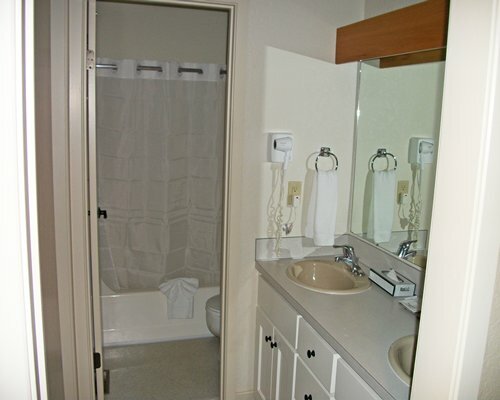 Ideal for families, many units have washer/dryers. 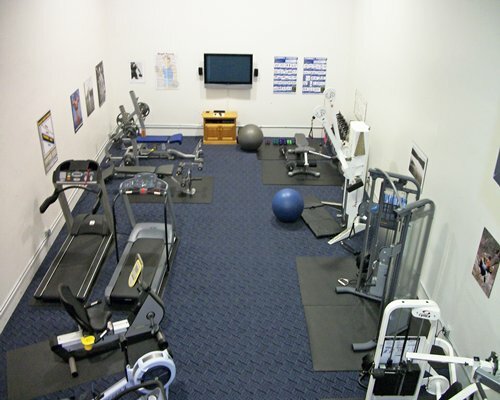 All units have telephones, televisions and carpeting. 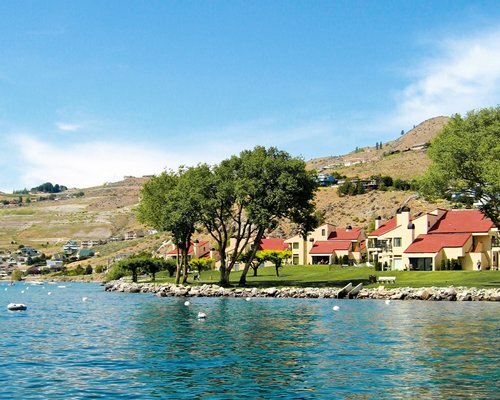 A premier year-round resort destination in northern Washington, Lake Chelan is the largest natural lake in the state. 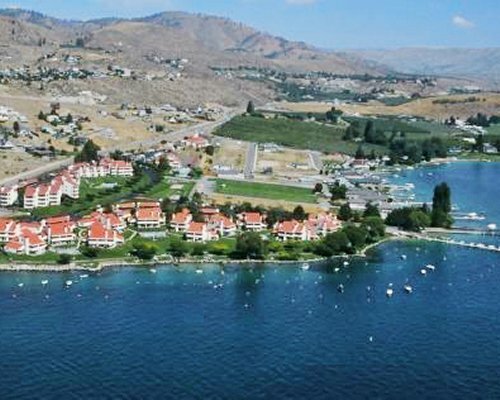 The town of Chelan is a scenic resort community at the edge of the Cascade Mountains. The area is known for its abundance of four-season recreational opportunities, including hiking, golf, boating and fishing. 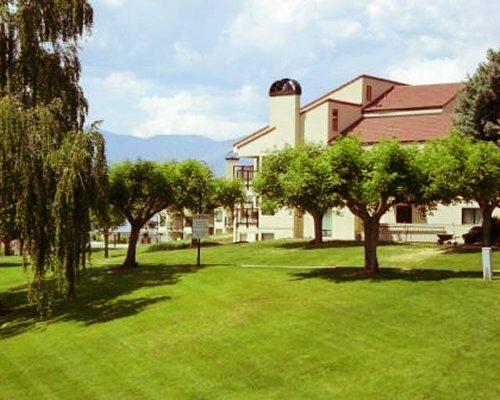 Wine lovers will enjoy tours of dozens of nearby vineyards and wineries. Climb aboard The Lady of the Lake for a tour of the headwaters of Lake Chelan and the remote communities of Stehekin and Holden Village. The nearest commerical airport is Seattle-Tacoma (Sea-Tac) International in Seattle. 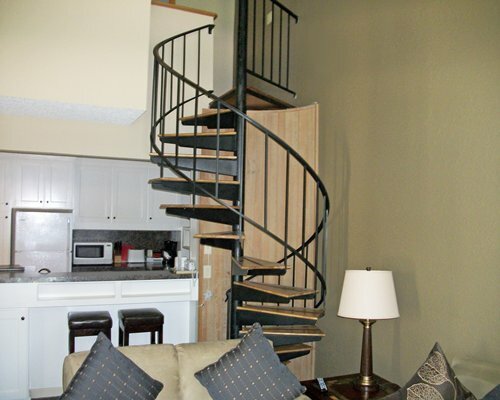 The resort is about 200 miles from Sea-Tac ariport. Take 405 north to I-90 and go east over Snoqualimie Pass to exit 85 (just pass Cle Elm). Follow signs to Highway 2 and Wenatchee. At Wenatchee, go north on 97A (Alternate 97) to Chelan (past Entiat). At Chelan, follow signs for Highway 150 to Manson. 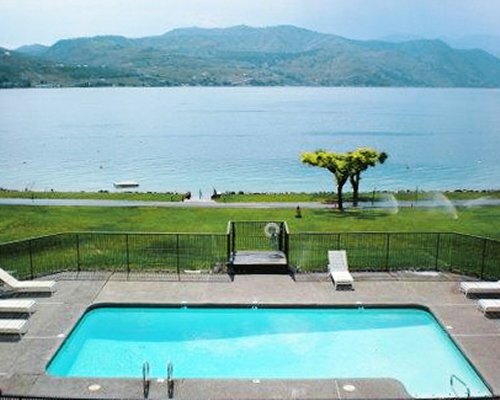 Lake Chelan Shores is 2 miles out of Chelan on your left. 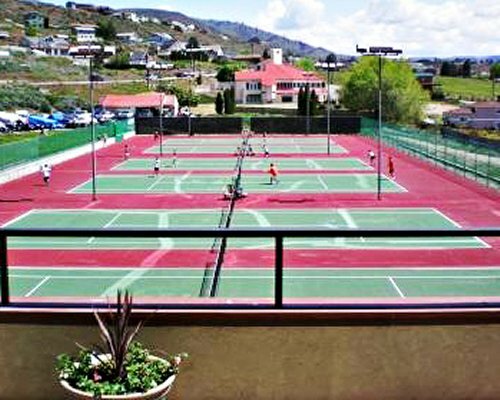 The resort has cream-colored buildings with red till roofs.